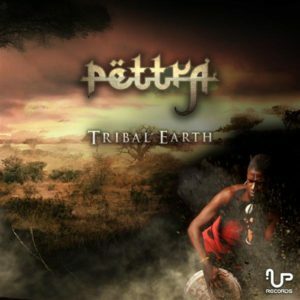 UP Records from Australia presents a rift in the desert sands once more, Tribal Earth, the latest gift of Pettra, who is also known as Jonatan Schreiber of Israel. Tribal Earth defines all there is within Jonatan’s known organic, rhythmic and brightly toned approach to progressive trance music. Under the guidance of Shahaf Efrat of Freedom Fighters in earlier years, this release from Pettra is breaking all barriers of his previous works. With live drum elements and a tribal soundscape to cover all boundaries for all feet planted on the earth this release features a special Pettra remix of Captain Hook and Freedom Fighter‘s hit track, Marshmallows, for all to get into. Pettra has spanned the cosmos of Ektoplazm in the past, with his successful 2015 release, Middle Eastern with UP Records. Middle Eastern brought Jonatan one step closer to his audience, and now once again, we bring you the sound of the desert sands, Pettra! Mastered by Fahad Abdulaal at 2hz Audio) (Melbourne, Australia). Graphics by Kyle Cook at KCDesigns (Gold Coast, Australia). MP3 Download | FLAC Download | WAV Download · Download count: 9,988. Despite all this it’s still a nice release and very well produced, as usual on Ektoplazm. Thanks! the bad aliens are inputing fast music in 440 hz in our minds. CONGRATS FOR THIS RELEASE EKTO!!! As i saw a new release of you, i already expected inspired and unique music.. and so it was! beautiful tunes! thank you very much!